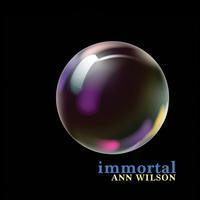 Heart's Ann Wilson says, of her new covers album Immortal, that she's making the most of opportunities to honor departed fellow performers. "At this point in my life and career, I am happy to be given any opportunities, and I am really, really proud to be doing this album. It's a project very dear to me — a collection of songs by artists who have departed in the last several years including Leonard Cohen, David Bowie, Tom Petty, Chris Cornell, Amy Winehouse, and George Michael to name a few. I feel these souls have made a real, lasting contribution to the art of the popular song, and to honor them is my deepest pleasure."